In this post, I will guide you how to create a select index table, create a module pool program and configure index table and the selection screen for the inbound sales order interface in SAP AIF. 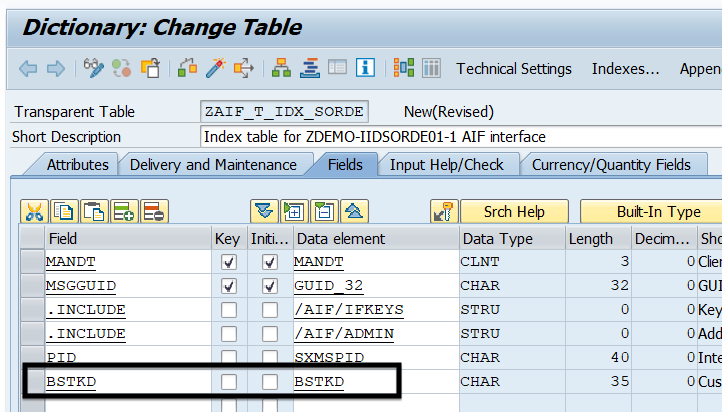 First of all, we have to create a single index table by copying template table: /AIF/STD_IDX_TBL. At the end of the table add additional field representing purchase order number. Now go to SE38 transaction code and create module pool program type, that will be used for selection screen extension in AIF Monitor and Error Handling. SELECTION-SCREEN BEGIN OF SCREEN 0001 AS SUBSCREEN. SELECTION-SCREEN END OF SCREEN 0001. Now from the AIF Customizing open Define Interface–Specific features and in node Define Key Fields for Multi. Search make an entry as below, where BSTKD is a key field name in your Index Table and S_PO is your parameter from selection program. E1EDK01-BELNR will be the source field. 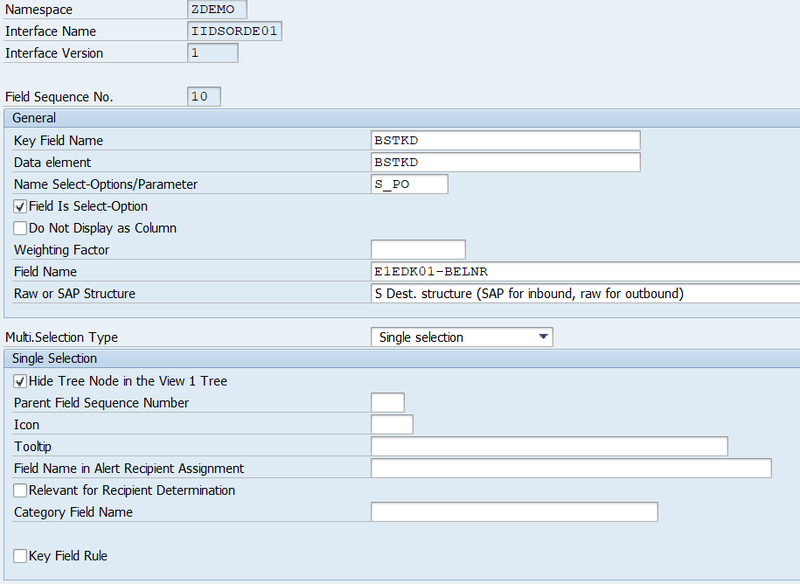 Want to learn more about indexing in SAP AIF? Check other blogs about SAP AIF here!